L'Oreal Paris unveils a new line of lip gradation cushions infused with tints from the most refined blend of precious flowers. Nail the ombr? lip trend or go for full matte lips using its expert applicator with soft cushion tip that lightly blends in the colour..
For a one shade flushed ombre look, apply to inner core of the lips and blend outward. The designer sponge tip is pointed at the end for precise application, ideal for shaping and smudging. The mix of nourishing flower oils and powdered pigments, deliver vibrant colour payoff in a soft, velvety matte finish that feels weightless and is non-drying. Using the cushion top, dab lightly on the upper eyelid to create a flush gradated effect. Dab 3-4 dots on your cheek bone then use your fingers or a sponge to blend the product in. Apply on the inner lips in a dabbling motion to create the perfect ombre lips or go for a fuller smudged look. Explore the entire range of Lipstick available on Nykaa. 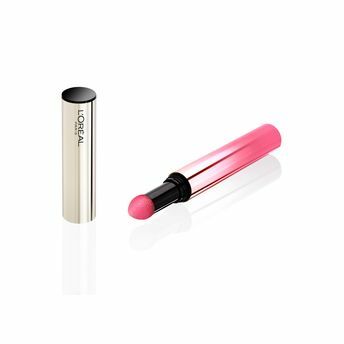 Shop more L'Oreal Paris products here.You can browse through the complete world of L'Oreal Paris Lipstick .Alternatively, you can also find many more products from the L'Oreal Paris Tint Caresse range.